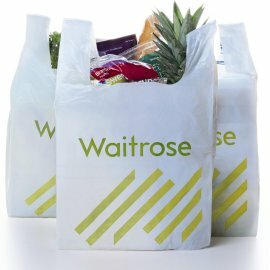 UK’s Waitrose TV, the first purely food-related online video channel from a retailer, will launch later in the autumn. Waitrose TV has been designed in conjunction with Red Bee Media, to help inspire a nation of cooks, whether watching on their computers, tablets or smartphones. It features six channels to make it as easy as possible for viewers to find inspiration. The ‘highlights’ channel includes new videos every week, and there are also channels dedicated to food, drink, health, ethical sourcing and seasonal events such as Christmas, with recipes, how-to guides, ideas and interviews. Viewers will be able to view exclusive recipes and receive cooking tips from experts including Delia, Heston Blumenthal, Dhruv Baker, Sam Stern, The Fabulous Baker Brothers and Silvana Franco. A ‘buy ingredients’ button offers viewers the option to click though to purchase recipe ingredients or related products online. They can also view recipes and watch related videos.